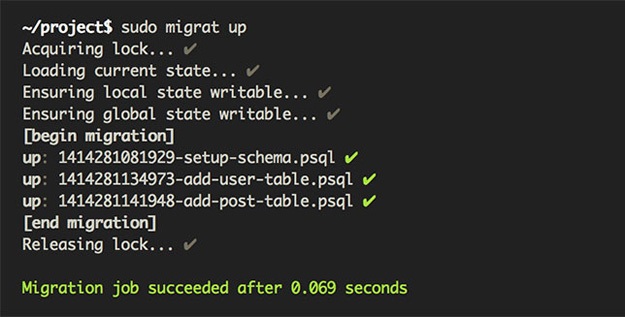 Migrat is a pluggable Node.js migration tool that is not tied any particular database engine and supports multi-node environments. It’s designed for diverse stacks and processes, and allows migrations to be run once globally or once per server. Eskimo makes it easier to rapidly build Node.js apps, online stores, APIs, and more. 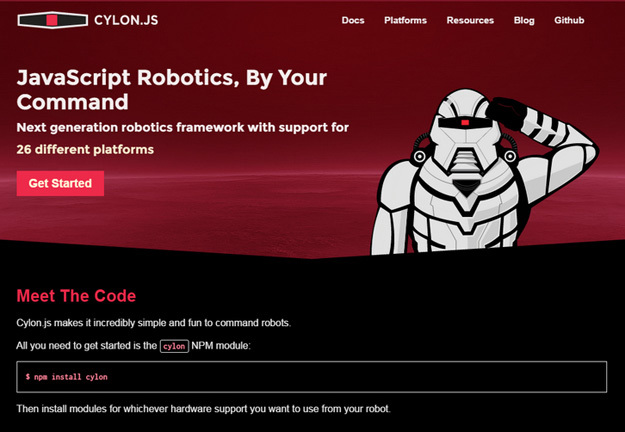 It’s built with open-source packages, and can be used for everything from coming soon pages to referral systems to CDN-hosted assets. 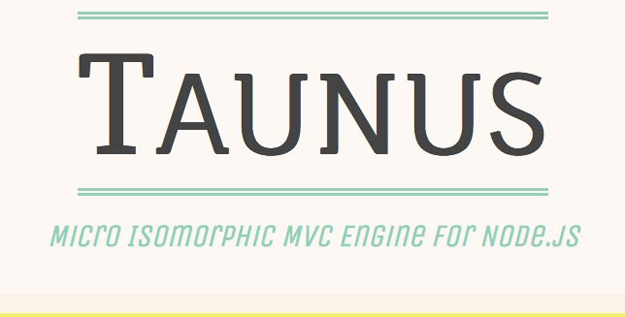 Taunus is a micro isomorphic MVC engine for Node,js that focuses on delivering a progressively enhanced experience to the user. It focuses on usability and performance, as well. 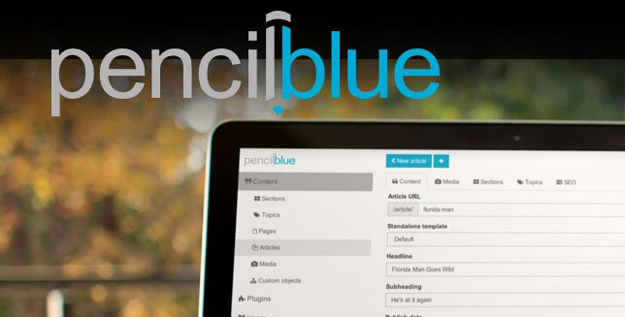 PencilBlue is an open source Node.js content management system that’s fully responsive and completely scalable. It’s extendable, easy to use, and is great for more than just blogs. Paperclip.js is a powerful template engine that’s built for extensibility and speed. 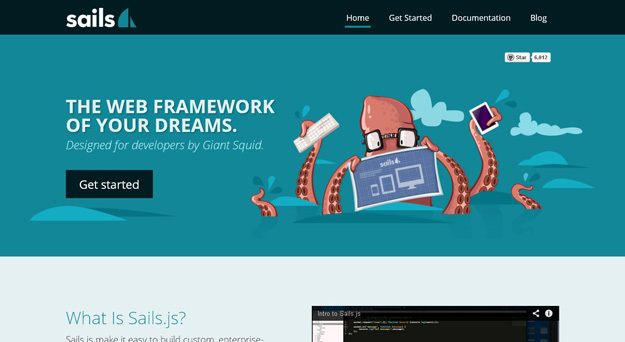 It creates compiled templates for the browser and Node.js. 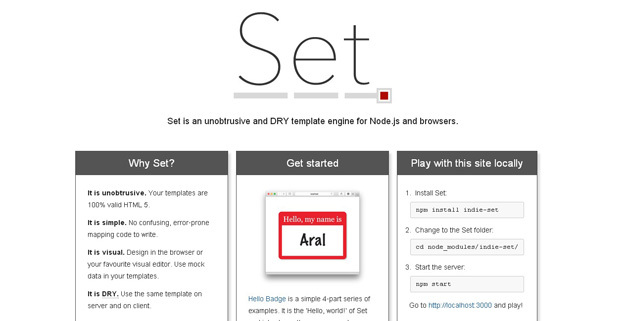 Set is an unobtrusive, dry template engine for Node.js and browsers that gives you 100% valid HTML5 templates. It’s visual, so you can design in your favorite visual editor and even use mock data in your templates. 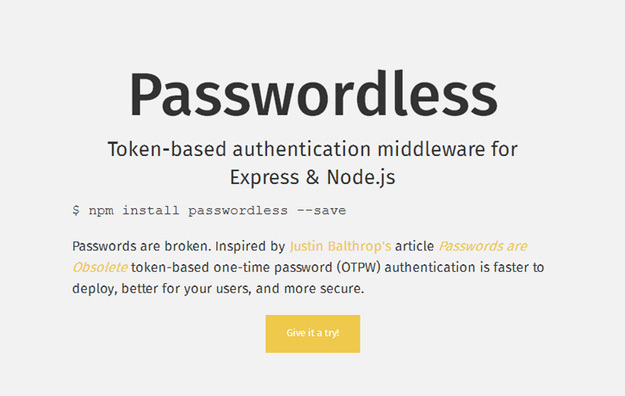 Passwordless is a token-based password authentication middleware for Express and Node.js. It’s faster to deploy, with just a single form and text field, with no need for separate registration, login, and lost password pages. 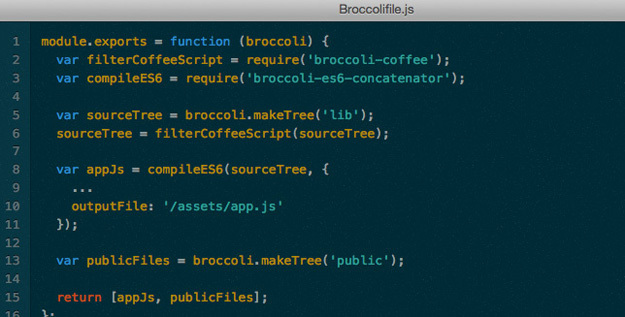 Broccoli is a new backend-agnostic, Node.js build tool, comparable to the Rails asset pipeline in scope. It offers chainable plugins, fast rebuilds, and a few plugins ready to go. Sails.js is designed to resemble the MVC architecture from frameworks like Ruby on Rails but for creating enterprise-grade Node.js apps. It has support for more modern, data-oriented web app development, particularly useful for creating realtime things like chat functions. 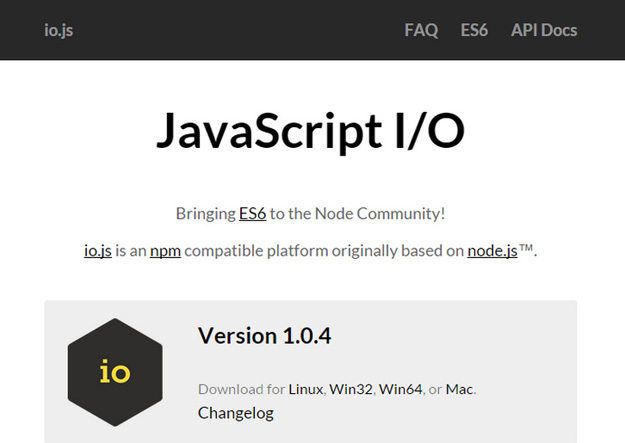 Node OS is the first operating system powered by npm. It’s built on top of the Linux kernel, with a node.js runtime. 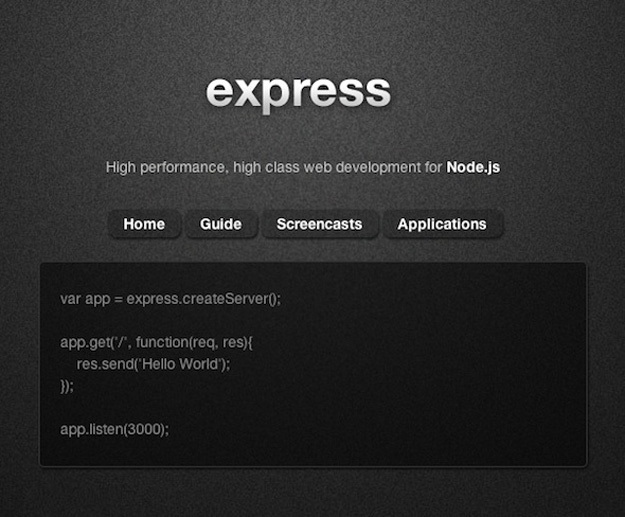 Express is a high performance and minimal web development framework for Node.js. The Express philosophy is to provide small, robust tooling for HTTP servers. Making it a great solution for single page applications, web sites, hybrids, or public HTTP APIs.Built on Connect you can use only what you need, and nothing more, applications can be as big or as small as you like, even a single file. Flatiron is an unobtrusive framework initiative for node.js. It promotes code organization and sustainability by clearly separating development concerns. Each component works elegantly with or without its counterparts. Many of the components work the same in the browser as they do on the server. It is an initiative to build a collection of decoupled tools with the same standard of quality and performance that you would expect from anything built by nodejitsu (intelligent & scalable Node.js).